If you’ve played Total War: ROME II, then you are more then likely aware of the technical hiccups that pledged this game. Generally speaking, this second patch will address technical, performance issues, gameplay and usability improvements. It will be automatically applied to your game on restarted. 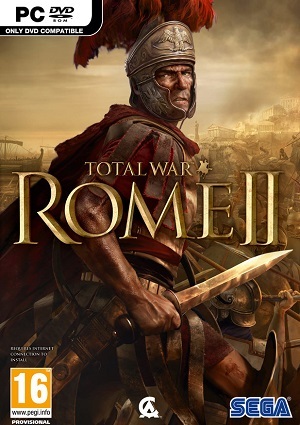 If you require assistance to solve issues or improve the performance of ROME II on your system, just visit http://www.totalwar.com/rome2support. The 3rd patch will be entering it’s beta testing soon, and it will bring changes to battle gameplay and further improvements for specific hardware configurations. That are a total of 4 planned game patches. Warning: Your current Save Games will work with Patch 2, but Save Games created or overwritten in Patch 2 will be incompatible with previous versions of Total War: ROME II. A new “Limited” option has been added to the “Show AI Player Moves” settings in Single Player an Multiplayer Campaign modes, this enables the player to see all movement of enemy factions, all movement within the players regions, and all movement within sea that the player has ports in during the AI turns. A new warning message has been added to loading screen to inform the player when graphics memory is running low, and the game is downgrading the players graphics settings. This can be overriden, allowing the game to use system memory for graphics (VRAM) by ticking the “Unlimited video memory” option in the graphics menu. Added earlier Multiplayer Campaign resyncronisation detection, upon loading save games which allows resyncronisation in more cases. Crash fix for when multiple AI reinforcements arrive in a single player siege battle in Campaign mode. Crash fix for when the player placed the mouse over a garrison force of a region in Campaign mode. Fix for “Level of Detail” distances scaling incorrectly when the “Field of View” is changed which reduces the chance of the “Intelligent Zoom” [N] key, causing “zombie like” low quality textures on unit faces in battles. Fix for a crash in 4v4 custom or multiplayer battles caused by the battle AI. Fix for a crash when holding the [SHIFT] and [CTRL] keys down, and selecting a unit card, when no unit cards where previously selected in Campaign and Battle modes. Fix for a rare crash caused by animal handlers in battles. Fix for a very rare crash when launching a new campaign. Fix for crash caused by forming a Confederation in Campaign modes. Fix for crash loading save games that were created on the “settlement captured” screen in Campaign modes. Fix for crash that happens when AI unit triggers raise banner special ability when no human units are selected in battles. Fix for crash when cancelling a game request for a password protected game whilst in a Multiplayer battle lobby. Fix for crash when selecting Custom Battle mode after fighting several different Multiplayer battles. Fix some crashes in multiplayer campaign mode, when one player quit the game, it would cause the other player to crash. Fixed a Multiplayer crash which happened when a client joined a lobby and was being allocated to the wrong slot. Fixed battle crash bug caused by the default deployment placement. Fixed rare battlefield loading lockup. Improved AI recruitment decisions in Campaign modes. Further improvements planned for subsequent patches. Improved compatibility for graphics cards with multiple GPUs. Improved the processing speed of the default deployment placement, reducing battle loading times on some battle maps. Increased the frame rate and reduced frame stuttering in battles on certain GPUs. Pathfinding optimisation on the Campaign Map. Some desyncronisations have been fixed in multiplayer city / port assault battles. Added icons to indicate activity in the Technology and Faction screens during a campaign. Added level indicators to the Sanctuary of Austro & Sanctuary of Fraujaz shrines in Campaign mode and the Encyclopaedia. Attacking siege ladders will no longer clip through the gate house in the siege on Bovianum battle during The Invasion of Samnium chapter in Prologue Campaign. Campaign AI is more likely to make a stand when defending its final settlement, but may still seek out another home, if they fear losing the final battle. During battles, players are no longer able to un-pause the game while in the options menus. Encampments battles are no longer incorrectly merged with Coastal battles, which lead to forts floating in the air when a friendly navy reinforced an army in the Fortification stance. Fix for a bug that sometimes made it impossible to exchange units between a transported land force and another land force on the Campaign map. Fix for AI taking inappropriate sized siege equipment into battle when the user changed the settlement wall height, via the map selection settings, in Custom Battle mode. Fix for armies on the sea getting stuck in patrol stance in Campaign modes. Fix for defending armies under AI control grouping together at the edge of their deployment zone, during Ambush battles when the player choses to wait before attacking them. Fix for settlement expansion trapping / blocking units movement on the campaign map in very rare cases. Fix for the boarding/ramming button which showed the incorrect state in certain circumstances in battles. Fix for units floating in the air while climbing siege towers in battle, when the tower is placed on a slope. Fixed a bug preventing the player from progressing in The Invasion of Samnium prologue chapter, if they had spent all of their funds before being instructed to recruit a General (and therefore having no funds to do so). Fixed issues with not enough time being given for certain advisor lines to play in different languages in the prologue. Fixed splitting an embedded army from a navy which sometimes caused the player to get stuck in the Prologue Campaign. Improved AI and scripting in the Raphia Historical Battle. Improved AI collision detection with Deployables in battle. Improved balancing for Food and Squalor in Campaign Mode. Improved ship movement speeds in battles. Improved the terrain in a small Barbarian city battle map. In Multiplayer Campaign mode, one player can no longer cancel recruitment during the other players turn. Minor bug fixes for Roman and Barbarian siege battle maps. Reduced infantry run speed, charge speed and acceleration in battles. Shock cavalry run speed and charge speed have been increased in battles. Some missions in single player and multiplayer Campaign have been fixed and now execute correctly. The Attribute increases for an agent accompanying an army now activate its associated effects on the general of that army in Campaign modes. The Basilica of Vulcan religious building now applies the correct bonus to recruitment cost reduction in Campaign Mode. The low level casualty moral penalties have been significantly reduced in battles. The order of events leading up to the Battle of Bovianum in the prologue have been re-scripted. The player now gets multiple turns to construct siege equipment. The victory screen in Multiplayer Campaign mode now shows the correct title for both players. When a settlement is captured via a siege battle, with a friendly naval fleet blockading its port, the ownership of the port is now changed correctly to the friendly navy fleet on capture. Added a tooltip to make ruined buildings more obvious in Campaign mode. Added a tooltip to say “Left-click to remove unit from recruitment queue” for units that are queued for hire in Campaign mode. Added some localisation text fixes for French, Italian, German, Spanish, Czech, Russian, Polish and Turkish. Added tooltips to “Weather” and “Time of Day” settings in the Custom Battle menu. Added white outline to Armoured Legionaries unit cards in battle. Correction to the Assault Hexeres unit card in the Parthia faction during battles, which had no colour mask and appeared black. Defending armies in an Ambush Battle can no longer load an army containing *Fixed Artillery and other Siege Equipment. Fix for Campaign mode bug, where a hostile agent and the players’ ship became stuck in the same position, with neither one able to move. Fix for rare cases of broken save games in Campaign mode. Fix for some German text not fitting into the available text space in the campaign mode user interface. Fix for very rare agent pathfinding issue, which caused the game progression to become impossible in Campaign modes. Fixed an error with uploading stats when a multiplayer battle was ended prematurely. Fixed some missing text on the Diplomacy screen in Campaign modes. Fixed the inability to select the previous faction, when an army is automatically loaded due to a battle type change during battle setup. Fixed the tooltip displayed when placing the mouse over the garrison in enemy settlements, while the settlement is under siege. Fixes and corrections for text in the encyclopaedia have been made. Improved icons for Province Effects in Campaign mode. Improved multiplayer lobby discovery, reducing the chance of finding *multiplayer lobbies with the wrong battle type. Improved text formatting in the Objectives panel in Campaign mode. Improved the clarity of stats displayed for Slaves Economic Effect when placing the mouse over “Slaves” in the Province Details panel on the Campaign map. In Campaign mode, exempting a province from tax will no longer incorrectly adjust the food number in the province info panel left side of the screen. In Multiplayer battle setup, unit restrictions related to “Battle type” are no longer desynchronised between the host and client, so only the correct units can be chosen. In the “Controls” menu under the “Settings” option in the main menu, when the player modifies the keyboard controls, and saves them, the new name for these controls is now replaces the “Classic Total War” name. Minor text and grammar corrections in Campaign Modes. More detailed descriptions added to the tooltips for the “Occupy, Loot and Raze” buttons after successfully capturing a settlement on the Campaign map. Removed the ability to loading the wrong type of units into a battle from a saved army pre-set in Custom Battle mode. Removed the red tint from the sky in battles. Right-clicking on the Aggressive, Balanced and Protective stance buttons when Autoresolving a battle in campaign mode will now take the player to the Encyclopedia, where these stances are explained in more detail. The “Force March” movement effect on the campaign map (looks like a whirlwind) are now correctly removed from the screen when the AI move their army. The buttons to change pages in the Leaderboards menu have been fixed, so more players can be seen on the Leaderboards. The Provinces list in Campaign mode can now be scrolled with the mouse wheel. The Public Order “Change per turn” stat is now displayed as the sum of all of its “Contributing Factors” on the Province Info panel in Campaign mode. Units in a recruitment queue, in a province with its capital under siege, now have an “infinity sign” icon to indicate that the “turns to recruit” is infinite while the siege is maintained in Campaign mode. You can follow Gaming After Hours on Facebook, Twitter, and Tumblr. “Creative Assembly: Second Total War: Rome 2 Patch Is LIVE | Gaming After Hours” seriously enables me contemplate a small bit extra. This entry was posted on 09/17/2013 by Byungsuk Kim in Computer and tagged Box Art, Campaign setting, DirectX, Graphics processing unit, Microsoft Windows, Patch, Sega, Total War ROME II.